What is a Cervicogenic (Neck) Headache? A cervicogenic headache is the term given to any headache which arises from issues in the joints and muscles of the neck. With headaches, there is often a great deal of crossover. A headache can be caused by a combination of things, such as stress, tension, neck dysfunction or even medication withdrawal. Cervicogenic headaches typically arise from the upper 3 joints of the spine (C1-C3), because their nerve roots share a common pain nucleus with the trigeminal nerve, which carries signals from your face to your brain. The brain misinterprets these signals as pain in the head, giving you a headache. How Do I Know If It’s Coming From My Neck? 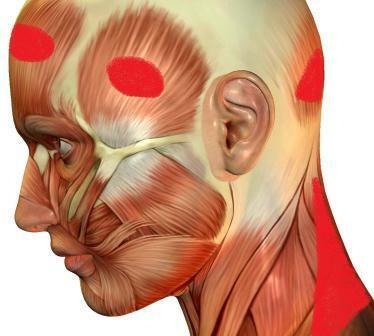 There may be some signs that your headache is coming from your neck. Almost all headaches are accompanied by symptoms such as nausea, sensitivity to light or noise and a throbbing pain. This makes it hard to know without a full physical examination whether your headache is because of a neck problem. You may find however, that you have accompanying neck pain. Difficulty turning the head with a full range of movement is another common sign, or a headache which worsens with prolonged stationary neck activity. Either way, it’s worth having one of our experienced chiropractors having a look at your neck to see if joint restriction seems to be part of the problem. If your chiropractor suspects that you have an underlying health problem or it was because of trauma you may be referred to your GP or a specialist to rule out other causes of your back pain. This obviously depends on the nature of the injury and your presentation. There is evidence that chiropractic care is effective in treating cervicogenic headaches. It is sometimes obvious fairly quickly whether symptoms are improving or not. Indeed, many patients have a full recovery. You chiropractor would start with a full medical history and orthopaedic and neurological testing. A lack of proper movement the upper neck joints may require some adjustment from your chiropractor. It is usually useful to make any needed changes to lifestyle after normal movement has been restored. This will often include a set of exercises for the neck to keep it functioning well. Our patients often find that massage and acupuncture are useful to maintain low levels of stress and tension. As always, we would refer as appropriate for any extra management or treatment. This may be imaging such as X-Ray, or referral to your GP or a specialist. If desired, our chiropractors can write a full report of findings for this purpose to refer you quickly and directly. The majority of cervicogenic headaches require approximately 6-8 weeks of treatment to get to a point of stability. 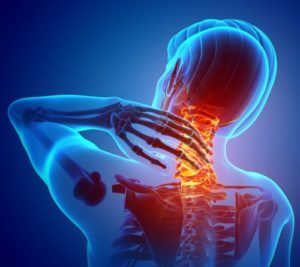 Some patients may be free of pain very quickly, but it’s important to focus on the function and rehabilitation of the neck rather than focusing too heavily on the headaches themselves. Depending on the case, maintenance or wellness care at a frequency to suit the patient’s lifestyle may also be desirable to keep everything functioning well. This may include other therapies or exercise regimes as appropriate. Chiropractic care is proven to be effective for cervicogenic headaches in several studies. Massage and acupuncture may also be desired, depending on the case. This will be to work on stress, general tension or muscle adhesion, especially for longer term management. Pain medication may be part of the management process. However, it is possible to reduce or even completely go off such drugs with the right treatment.